The FBI Criminal History Summary Check is issued on request from the applicant who needs to get a criminal background check done on oneself. The FBI (Federal Bureau of Investigations) does a background check for applicants that have their fingerprints submitted to the FBI via a Live Scan process and/or on a standard FBI form, FD-258 Ink Fingerprint card; and by comparing FBI’s database from the submitted fingerprints. Depending on how fingerprints have been submitted electronically or on FD-258 ink cards, applicants can received their FBI Criminal History Summary in about 3 months or as little as 1-2 days. If you have a criminal record or not, you will still receive a FBI Criminal History Summary Check (FBI Report) with or without any “incidents”. California Department of Justice (DOJ) has a Fingerprint Roller Certification Program requirement for those that wish to provide fingerprinting services in the state of California. Law enforcement agencies are exempt from this requirement. 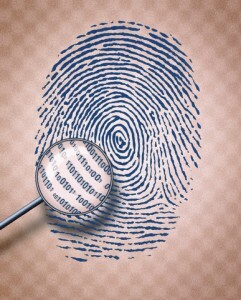 The National Live Scan Association (NLSA) has several Live Scan Fingerprinting training programs. To learn more about becoming a certified and approved Fingerprint Roller and/or how to start and grow your own business as a Live Scan Operator, visit http://LiveScan-Classes.com. Typically the FBI Criminal History Summary Check is to be submitted along with other required documents when seeking employment at a government, federal, non-federal, law enforcement or non-law enforcement agency. In addition, the FBI Criminal History Summary Check can also be used for travel, immigration or work in another country as well as domestic and international adoption process. The FBI Background Checks are issued with the help and utilization of FD-258 Ink Fingerprint Cards. 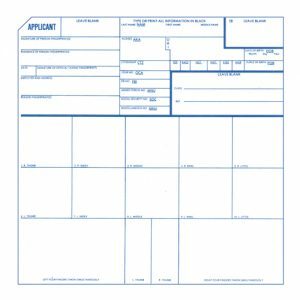 The card has a white background, printed in blue, and needs to be typed and printed in black ink to help differentiate the information filled in the form. Care needs to be taken that the space provided for each detail filling should not be used more than the area provided. The fingerprints should be done by a legitimate organization to ensure that it is done properly. (Some states such as California have specific state requirements on providing finger printing services) The ink card(s) along with the requested documents and a payment of $18 are to be sent directly to the FBI for processing the applicant’s FBI Criminal History Summary Check. 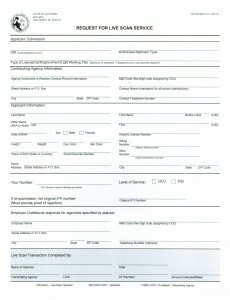 The FBI provides a downloadable PDF version of their FD-258 Ink Card online at http://FBI.gov or even at http://FBI-Reports.com. Note that download version will in most cases be only accepted by the FBI directly. If you need a FD-258 Ink Card any other purpose, please contact your requesting agency on how to get the “hard card” version. Receiving a FBI Criminal History Summary Check goes a long way in helping you out with information on record that you may not be able to challenge by yourself in the court of law. This is essentially a letter to substantiate the evidence of your innocence and your clean past to enable you to acquire what you want. It is a great help in clearing hindrances offered by the legal system of the country. The letter will help you to provide argument against records that show information about you quite contrary to what it is actually. The FBI Background Check is issued on request from the applicant who needs to get a criminal background check done on oneself. The FBI (Federal Bureau of Investigations) does a background check for applicants that personally provides their fingerprints on a standard FBI form, FD-258 Ink Fingerprint card; and by comparing FBI’s database from the submitted fingerprints. Currently it takes the FBI’s Criminal Justice Information Services (CJIS) Division approximately twelve (12) weeks from the date of submission to process an individual’s FBI Background Check requests. If you have a criminal record or not, you will still receive a FBI Background Check (Criminal History Summary Report) with or without any “incidents”. California DOJ has several Live Scan programs; two of the most popular are the Fingerprint Roller Certification and the other is the Live Scan Operator (Business Owner). To learn more about becoming a certified and approved Fingerprint Roller and/or how to start and grow your own business as a Live Scan Operator, visit http://LiveScan-Classes.com. The FBI Background Check will be submitted along with the paperwork you may need to apply for a job at a government, federal, non-federal, law enforcement or non-law enforcement agency. It can also be used for travel, immigration or work in another country as well as domestic and international adoption process. The fingerprints should be done by a legitimate organization to ensure that it is done properly. (Some states such as California have specific state requirements on providing finger printing services) The ink card(s) along with the requested documents and a payment of $18 are to be sent directly to the FBI for processing the applicant’s FBI Background Check. Receiving a FBI Background Check goes a long way in helping you out with information on record that you may not be able to challenge by yourself in the court of law. This is essentially a letter to substantiate the evidence of your innocence and your clean past to enable you to acquire what you want. It is a great help in clearing hindrances offered by the legal system of the country. The letter will help you to provide argument against records that show information about you quite contrary to what it is actually. California Live Fingerprinting Centers (CAL-LIVE) serves the Mid City, West Adams and other areas in Los Angeles County. You will find certified and experienced Technicians ready to assist you. The fingerprinting process is quick and easy, about 10 minutes in completing your Live Scan process. California agencies such as Crystal Stairs, Pathways LA, Connections for Children, Community Care Licensing Division (CCLD) and the Department of Social Services have strict state and federal background check (Live Scan) guidelines that must be adhered.